Okay, I know, I know. 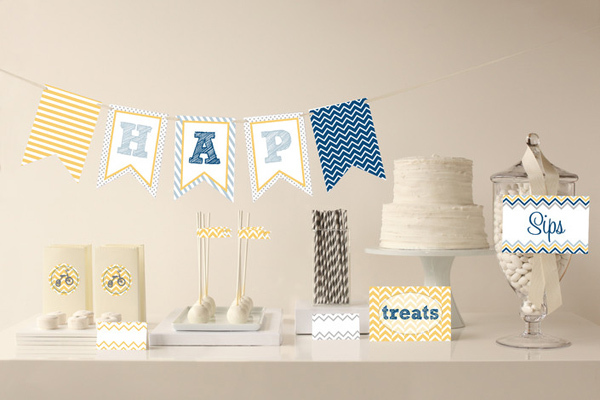 Chevrons have been around for awhile now, like probably 4 or 5 years as a consistent trend in wedding, party and lifestyle decor. But, I just can’t seem to shake my love of them. I’m sorry that I’m not before the trend, but you can’t help liking what you like, and right now, I’m totally into Chevrons. 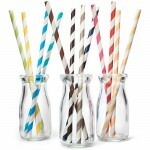 I think I really like this as a design concept because geometric shapes always work for party decor and even home decor. 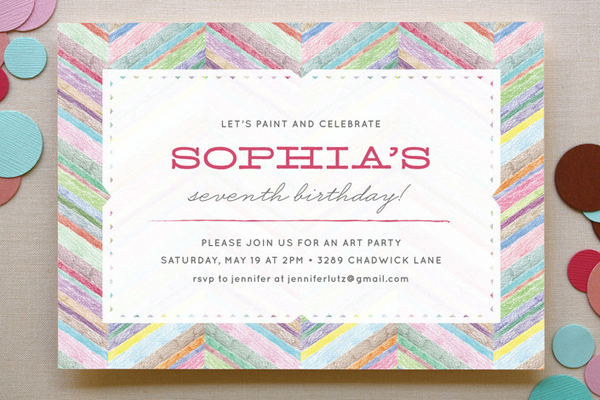 Repetitive shapes add order and consistency and a little fun into your theme and design. 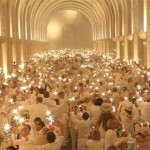 But, sometimes using an abundance of circles or squares or, whatever, can be overpowering and overwhelming. Not so with chevrons. 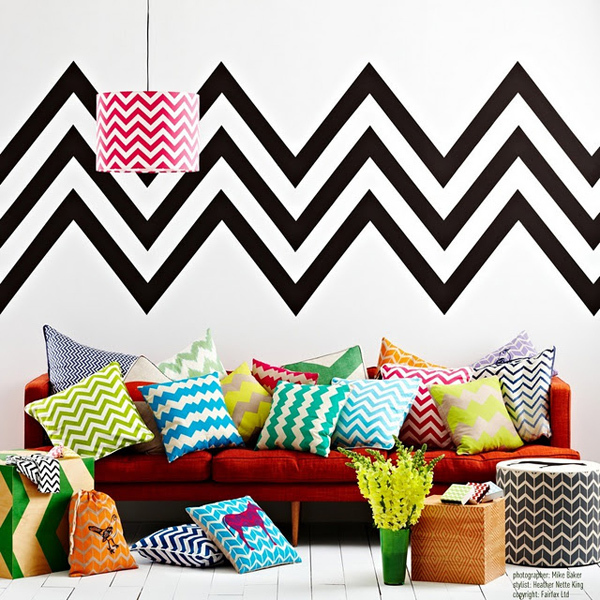 You could do a whole wall in a soft chevron pattern and it would be amazing. You can layer one chevron pattern over another and it just works. Maybe it’s the way that the pattern fools the eye so that we don’t know if it’s an upward V or an inverted V, if it’s zigging and zagging or swirling. There is a fluidity to it that, in my opinion, will never go out of style because it is so easy to work with. As this inspiration palette shows, it’s also a pattern or geometric element that, for some reason, works well on it’s own as one colour statement, but also just as well with a full colour scheme. 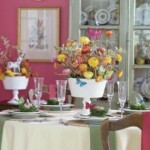 It can be zany and fun and also very elegant. It’s just a great pattern. Use it, have fun with it, enjoy it! The two-tone teal of this cake is a cool colour palette and the chevrons add so much detail that you don’t need anything else but a floral appliqué. 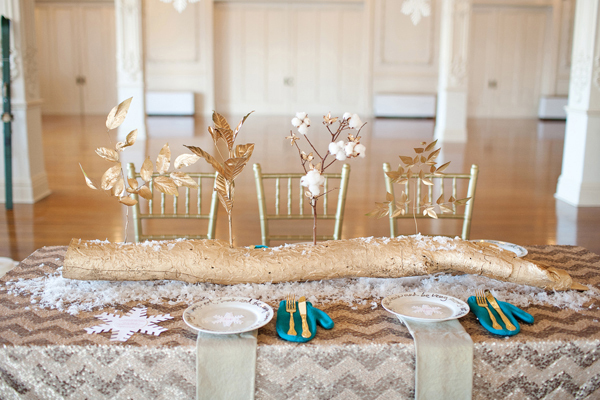 Loving the subtlety of this chevron pattern in a holiday tables cape. It’s soft, shimmery and doesn’t take away from all the other elements. As an accent, chevrons can be bolder and it is a great way to add a new colour dimension. Chevrons can be used with other patterns and the effect can work really well. 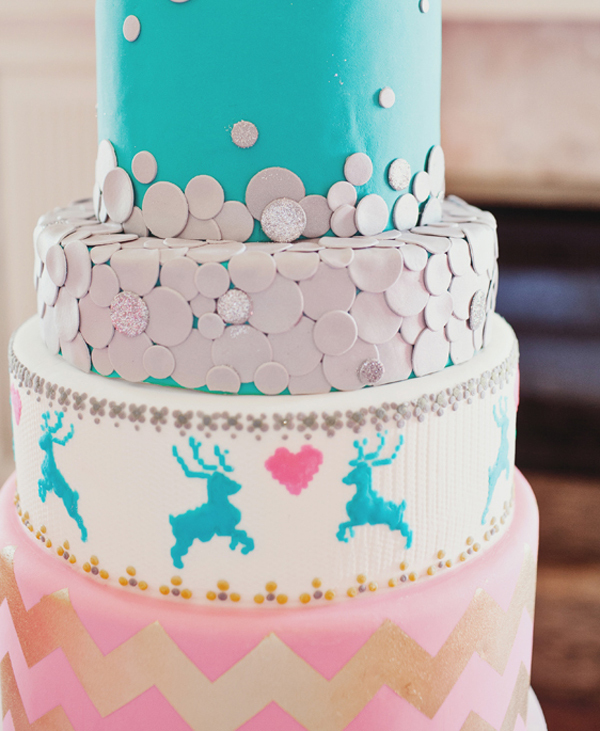 This colour palette is really cute and simple but the pattern gives it depth. 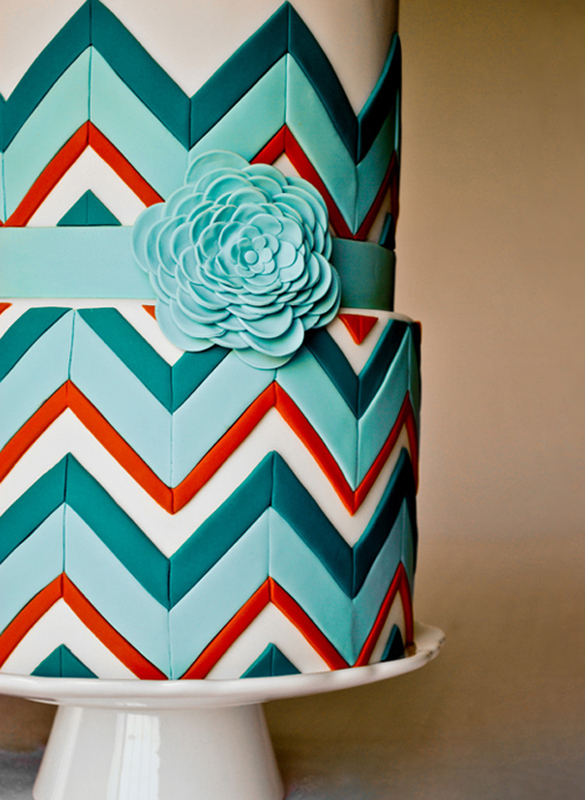 Mixing patterns is a cool design element and even though this cake has 4 or 5 different patterns going on, the chevrons are the anchor and don’t compete, but compliment the other patterns. 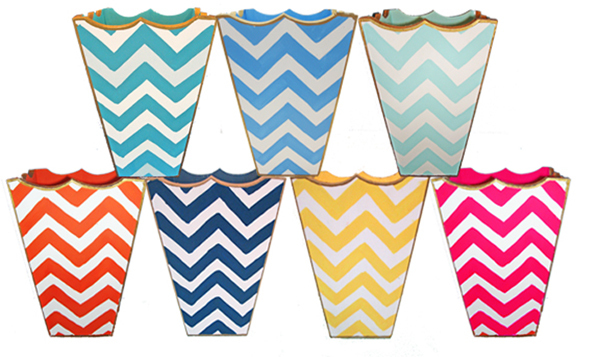 Go bright and go bold with chevrons! 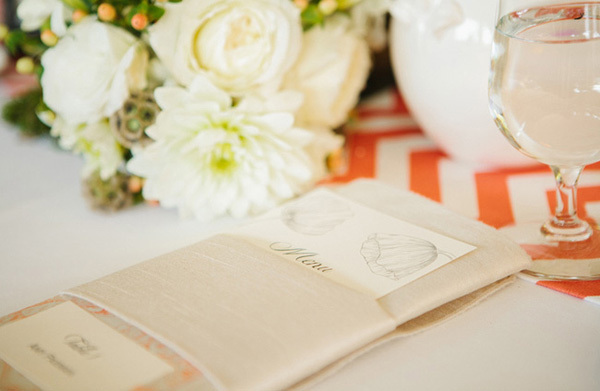 Again, by using a chevron pattern in a table runner, the whole table is grounded by it but it’s not overwhelming. In fact, other design elements are pulled from and flow from this design and colour palette. Pretty, soft, elegant. This is a great example of how chevrons work well with pattern and in an array of colours. Chevrons really allow for a brash mixture of colours. While other patterns become harsh when using many, many colours, chevrons still maintain a pleasing look for the eye. 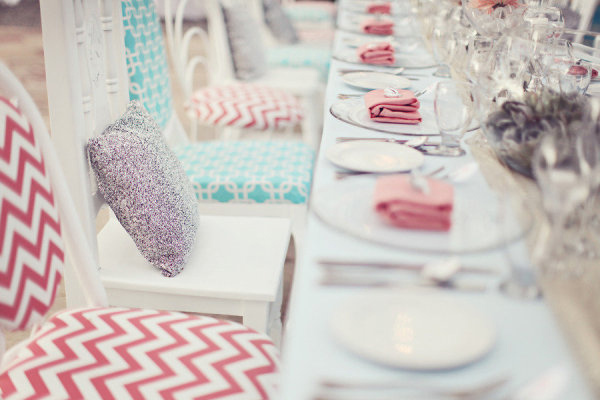 A good example of how a chevron pattern can anchor a tablescape without overpowering all the other elements. 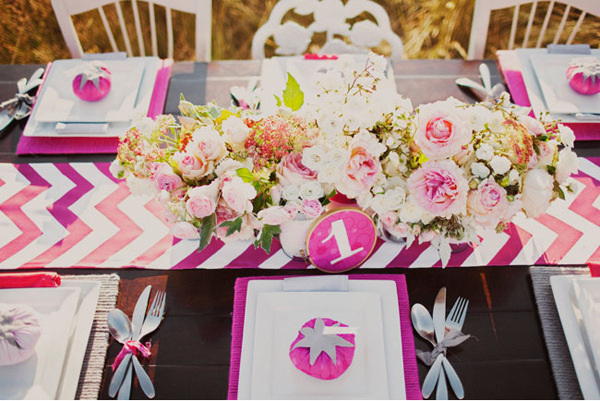 The cake is big, the florals are bright, the over-the-table detail is grand, yet the chevron pattern really demand focus from the eye. I love how chevrons can be used in a single colour palette but also with a multitude of colours. 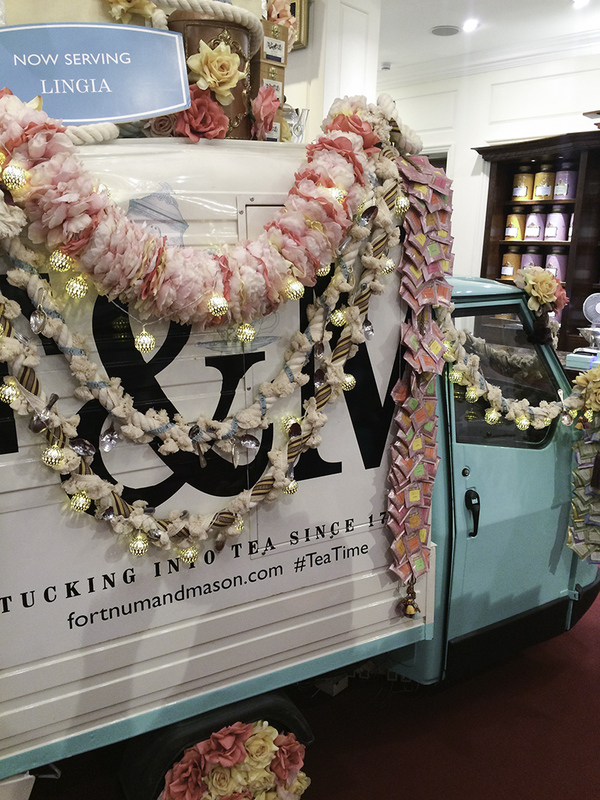 It adds fun and interest to things like invitations or party decor. Are you crushing on chevrons too? 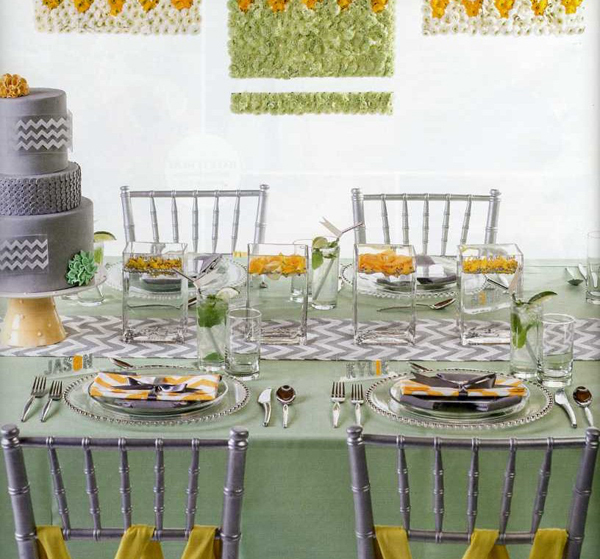 Have you thought about using this pattern in a party theme?